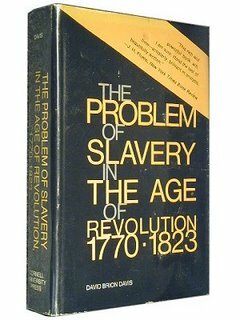 Some of the richest debates in intellectual history in recent years have taken place in discussions of the complex relationship between the rise of capitalism and the rise of antislavery sentiments. 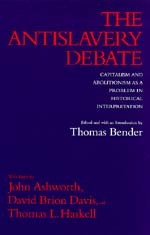 Much of this debate is presented in Thomas Bender's edited volume, The Antislavery Debate. To present a thumbnail sketch: there is a question about why antislavery sentiments came on so strongly, beginning about the time of the American Revolution, and became so triumphant within such a short compass of time. 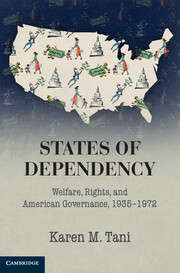 From the beginning of the American Revolution in 1775 until the end of the Civil War in 1865, there was an extraordinary shift in attitudes towards slavery; and also towards the market. What, then, do we make of the correlation between them? David Brion Davis, one of the most and perhaps the most distinguished historians of slavery, suggested in Slavery in the Age of Revolution (1975) that the growth of the market led to further something of class consciousness. The movement against slavery validated free labor. Much to this, I think. There are some pretty cool thought-experiments you could run on this. For instance, one might test this with reference to the anti-rent movement in up-state New York in the 1840s though the 1860s. (Thoughts on Charles McCurdy's important book on the anti-rent movement here.) I hope to have some well-considered thoughts on this later; for now I'll note that the anti-renters did not correlate highly with anti-slavery voters. Thomas Haskell of Rice University's history department suggested an alternative hypothesis: that the growth of the market led individuals to have a wider sense of their world--it led them, to understand the effects of their decisions on others. Pretty interesting stuff here--and connected in a lot of ways to the common sense moral philosophy that is related to Adam Smith's thought. I'm partial to John Ashworth's interpretation, which is that the increase in wage labor led to increased awareness of the ways that slavery interfered with wage labor. But this is a topic on which there's a lot to say. What, I wonder, is the parallel to Haskell in the legal history literature? I'm wondering if there's some space for thinking through Haskell's interpretation of how the market transformed humans (mostly Americans') moral sensibilities in the legal system. Might we, for instance, test his thesis that the market created a wider sense of duty by looking at tort cases? That question led me back to G. Edward White's intellectual history of tort law. 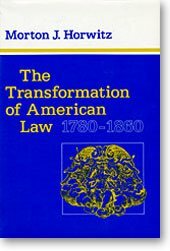 White's mostly concerned with tort law post-1870, but in the first chapter he sketches a similar process to Haskell. So here's a question: is there evidence of this "widening perception" in the antebellum tort cases? 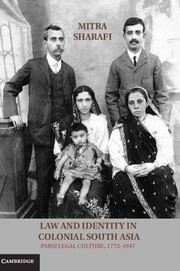 That is, can we detect any hints of such sentiments in cases from northern or southern judges in the period 1800-1860? So that sends me off to some of the formative tort cases, like Farwell v. Boston & Worcester R.R. or one of my new favorite cases, Thomas Ruffin's Heathcock v. Pennington, about a slave who died in a mine accident. Ruffin placed the loss on the slave's owner, rather than the owner of the mine. And with that I think it's time to decamp from my visit here at legalhistoryblog and return to writing University, Court, and Slave--which is about moral philosophy in the old South. I've had an absolutely wonderful time visiting and I very much hope that Mary will let me come back again sometime. Not to derail this discussion but there's another fascinating issue debated in "The Antislavery Debate": the extent to which it's reasonable to ascribe causal force to less-than-fully-conscious intentions or motivations. Haskell argues that unconsciously intended consequences are empirically indistinguishable from unintended consequences and therefore surplusage. Davis argues that "the concept of self-deception is so central to any quest for self-understanding or social analysis that it cannot be discredited by a kind of positivistic behaviorism." Ashworth would bite the Marxist bullet and refer to "false consciousness." I'm somewhere in between Davis and Haskell on this issue, but it's difficult state exactly why either might be wrong. I think legal history could gain much from that debate, as well as the more specific one you discuss above. 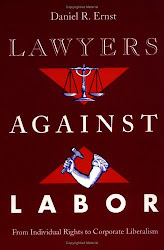 I seem to recall from Warren's History of the early years of Harvard Law School that the first American text devoted to tort law appeared in the 1850s, attributable perhaps to railroad injuries; that tort law, as a course, developed late at HLS.